This contemporary Arper Loop Three Seater Sofa has just come into stock! 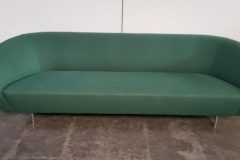 Upholstered in a sumptuous bottle green cloth, on a wooden frame and with stainless steel feet, this sofa is bound to add understated style to any reception or work space. 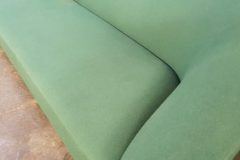 As always, you can view this sofa in our showroom along with all our other used office furniture.